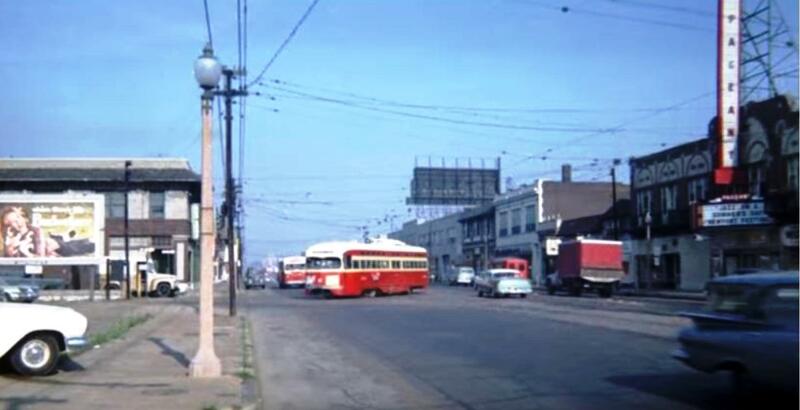 A streetcar turns south on Laurel Street from Delmar in front of the Pageant movie theater in the 1960s. The Pageant was a venerable theater in St. Louis last century and was the first stadium style theater built in the region, according to cinematreasures.org. Joe Edwards took the name from the now-demolished theater in creating the wildly successful Pageant live music venue three blocks to the west of this site. Don, great guess, and you were correct about the location. As far as the decade, we believe this photo was shot in the 1960s.